When your child enters the Phonics Museum, a learning adventure full of games, stories, and art awaits! Starting in the lobby and all the way to the tenth floor, young learners will discover different works of art — from a pharaoh's golden sarcophagus to great painted masterpieces. 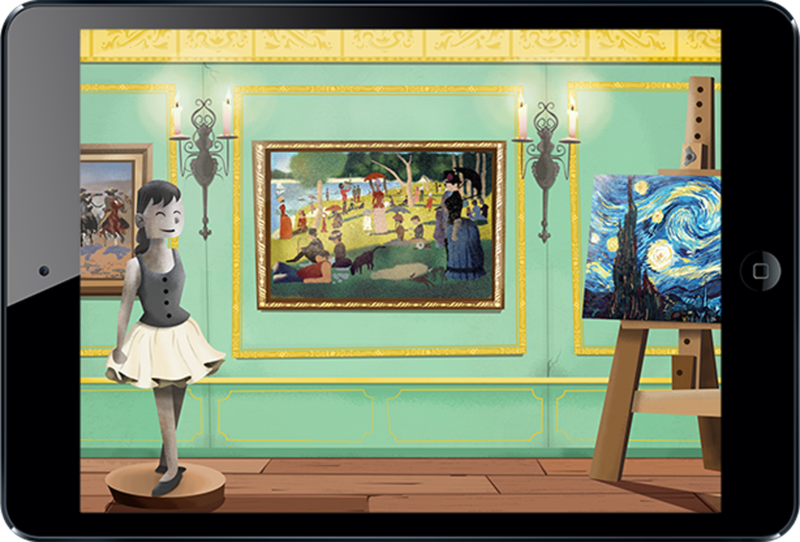 Whether it’s their first “visit” to an art museum or not, children will love exploring every floor of this multi-sensory educational experience — including the “free play room” where they can go at any time to hear songs or play any game over again. As they look, listen, speak or sing-along and touch their tablet or mobile device, they’re sure to have fun while learning to read. 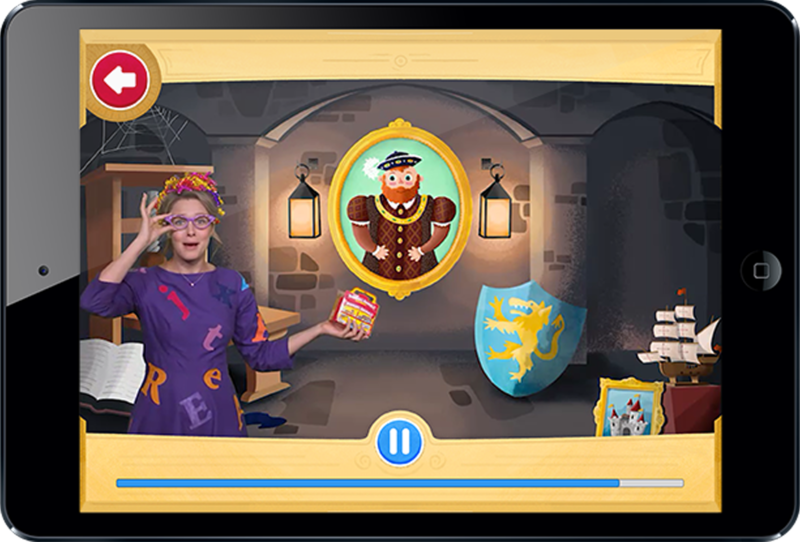 At the Phonics Museum, children will follow William and Wendy on the reading adventure of a lifetime. At the Phonics Museum William and Wendy meet Percival - a young knight from one of the exhibits. 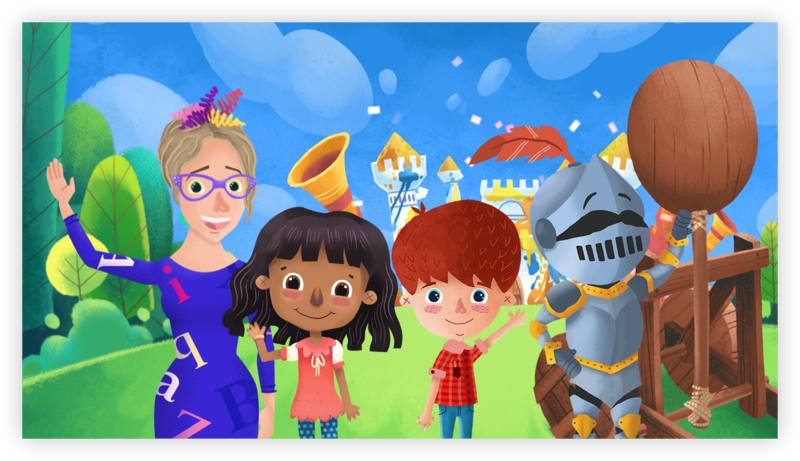 Clothed in a suit of armor, Percival befriends William and Wendy and invites them to learn the alphabet by finding letters in the works of art. There's also Miss Biddle, the colorful and quirky museum curator. 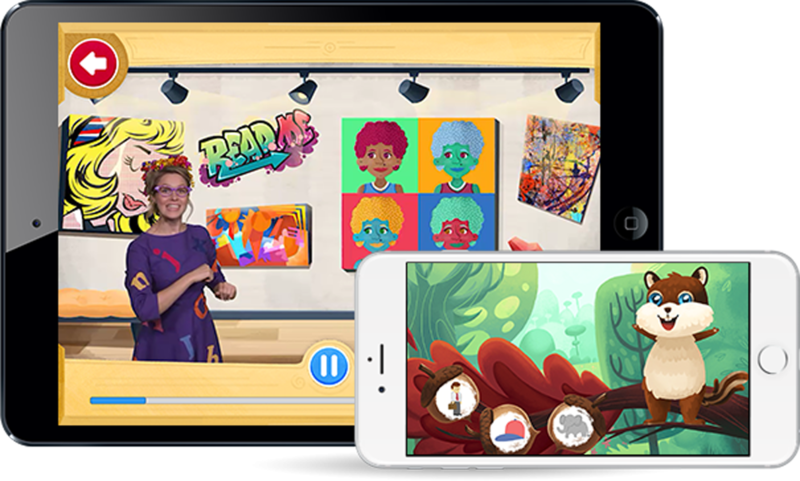 She's animated during some activities, songs, and games, but "comes to life" during her lessons directed toward children learning with the app. At Phonics Museum, you never know who you might meet or what stories you might hear from Miss Biddle. On one floor, she engages with a painting of His Majesty King Horace Edward Joseph Frances Oliver William III — or “King Horace” as he encourages everyone to call him. Miss Biddle explains how written and printed letters can look different and relates the history of how the printing press was invented by Johannes Gutenberg to make copies of words and letters. That’s something King Horace notes “was a lot faster than copying books by hand” which many still did in his day!